Eventually, although this week doesn’t feel like it, fall will be here with all its vibrant colors and balmy nights. 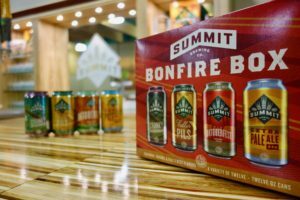 Summit Brewing Company is cognizant of that and brewed up a perfect beer to augment those nights huddled around a campfire in your flannel. They are bringing their drinkers a brand new beer called Cranky Woodsman. I love the name although it sounds an awful lot like some type of Urban Dictionary event between two consenting adults. Summit’s Cranky Woodsman is a new nut brown ale with hints of smoke, maple syrup, and roasted malt. Cranky Woodsman offers a pleasing smoked malt aroma causing you to yearn for an evening around a cam pfire with friends. 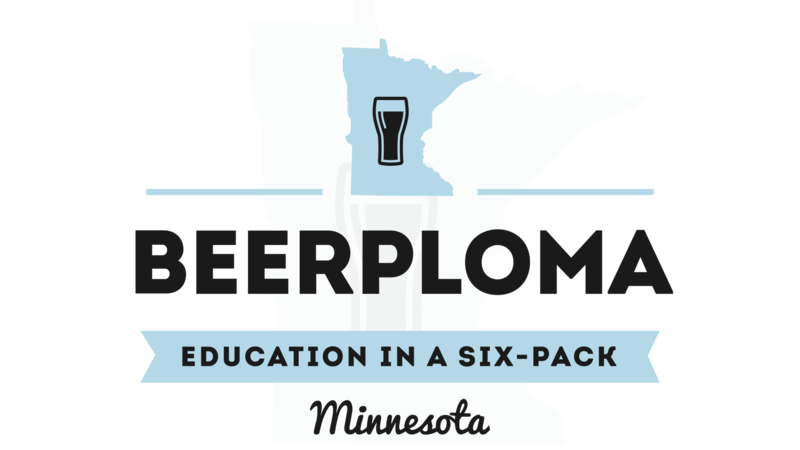 It is a 5.2% ABV beer that utilizes both locally grown malt and hops from Lacey barley in Alexandria, MN, and Might Axe Farms in Foley, MN, respectively. The color is a rich mahogany brown that looks exquisite in a Summit glass. Summit suggests a nonic pint, but really, you don’t have to be picky; just don’t drink this one out of a bowl like a goon. The flavors of Cranky Woodsman starts off in the nutty flavor profile of a walnut or roasted pecan. Then, it starts to meander towards roasted malt bitterness and maybe even a hint of coffee. The finish is a little sweetness from the maple syrup. All of these wonderful flavors are due to the smoked malt, maple syrup, and puffed wild rice used in the beer. I think that this beer is complex and should be given the chance to warm up a bit in the glass. The Cranky Woodsman is available in the taproom and the Summit Bonfire Box variety pack. The other beers in the Bonfire Box variety pack are Extra Pale Ale, Oktoberfest, and Keller Pils. 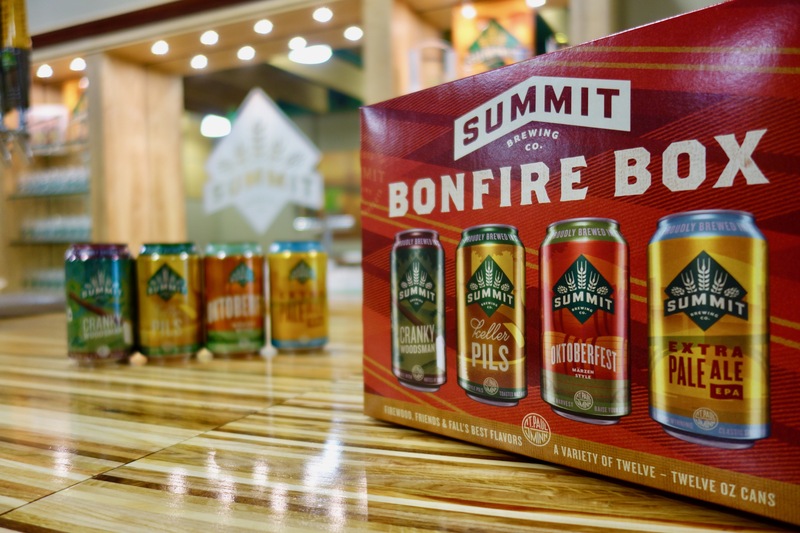 I have enjoyed the variety packs that Summit has put out recently and I think the Bonfire Box is another solid collection of beers. There is something for everyone and a nice mix of flavors in the beers. I am excited to drink this beer in the fall. 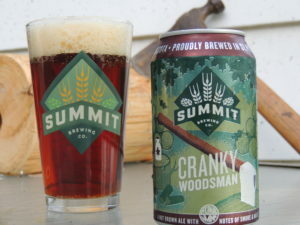 Summit’s Cranky Woodsman will augment my fall with flavor and complexity. To me, there is nothing better on a crisp Friday night than filling up my firepit with some logs and carrying on until the neighbors tell me to shut up. 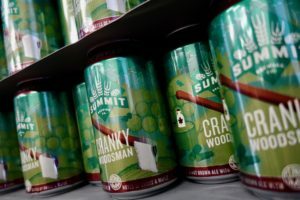 Hopefully, the Cranky Woodsman will find its way into your glass and seasonal lore as you enjoy one of the best times of year to live in Minnesota.